Steven J. Reto, O.D., F.A.A.O. 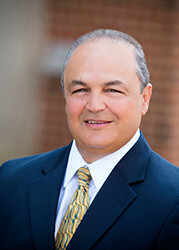 Steven J. Reto, O.D., received his undergraduate degree form Wilkes College in Wilkes Barre, PA and his Doctorate of Optometry from the prestigious Pennsylvania College of Optometry in 1987. He completed several clinical externships including the Lynch Pediatric Unit of the Eye Institute in Philadelphia where he received an excellence in pediatric care. Dr. Reto is a recognized as a leader in the contact lens and practice management field. He has published in numerous journals both on a national and international basis and has lectured on many topics of optometric care. The practice remains in the forefront of contact lens research by participating in clinical studies for many major contact lens manufacturers. In 1997, Dr. Reto continued his education for Board Certification in the Treatment and Management of Ocular Disease from the Pennsylvania College of Optometry. Dr. Reto remains active in the community donating his time and efforts to the school district. He is a member of many professional organizations including the American Academy of Optometry, the American Optometric Association, the Pennsylvania Chapter of the American Academy of Optometry, the Pennsylvania Optometric Association, the Chester-Delaware Optometric Society, the Contact Lens Section of the American Optometric Association and he is past Chairman for the Pennsylvania State Board of Optometry. In addition to providing outstanding optometric care, Dr. Reto is an avid sportsman who enjoys hunting and fishing. He lives in West Chester with his wife Kathy and two children, Anthony and Christopher.